← It’s Back to School Time!! That picture is my Monday. I had a horrible time falling asleep Saturday and ended up getting very little. Since then I have been so sleepy. Melatonin has become my best friend since my car crash. It takes me so long to get comfortable and fall asleep I can’t just take pain pills and get comfortable anymore. I haven’t been taking pills at all lately but Saturday I did. I took a big girl pill and I felt so good. I forget what it’s like to be pain free. I also don’t realize how much pain I live with, even when I take ibuprofen. It felt so good I couldn’t sleep. I was so sleepy I fell asleep a little earlier than usual Sunday night. But man when I woke up today I still feel hungover on sleep, or lack thereof! 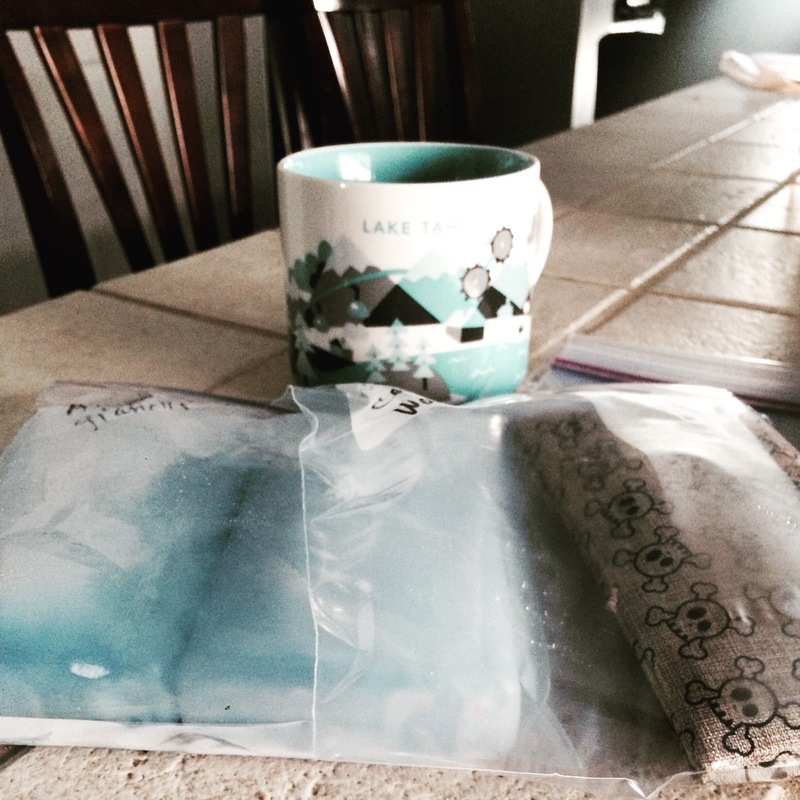 I forgot to pack the ice packs in my kids lunch bags. It’s the second week of school and I’m failing already! My mugshot Monday post on Instagram shows my failure and the fact that I need mass amounts of coffee today. Which by the way, I ran out of. It is the weakest pot of coffee ever. I just can’t win today! I think I need to go back to bed and try again. At least I have my beautiful Lake Tahoe Starbucks mug to look at while I drink my water slightly browned by a touch of coffee. This entry was posted in Coffee Talk, Uncategorized and tagged coffee, mommy fail, mugshot monday, my monday is showing, starbucks. Bookmark the permalink.